Bhubaneswar: In order to promote Odissi dance, aluminium major NALCO has decided to institute Kharavela Awards to felicitate an Odissi Guru and an Odissi dancer every year from 2016.This was announced by T.K. 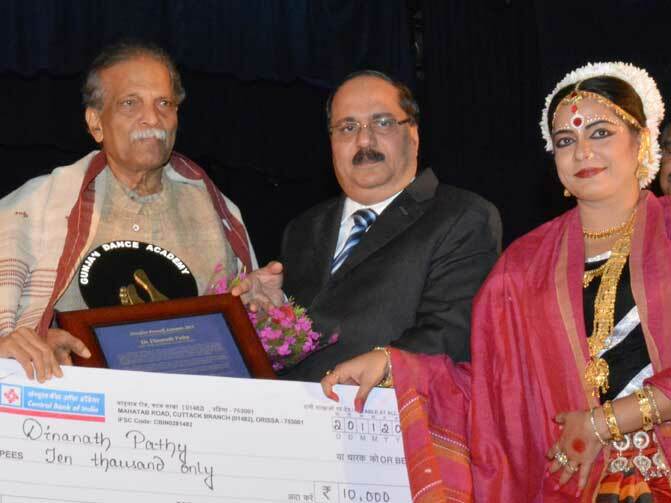 Chand, CMD of Navratna NALCO at the concluding day of the 19th Gunjan Dance & Music Festival at Cuttack on Friday.The Kharavela awards carrying Rs.1 lakh for an Odissi Guru and Rs.50,000 for and Odissi dancer in cash along with gold medals and citations will be presented on the occasion of the foundation day of the company on January 7, 2016. In his address, Chand also announced that the company would play the cultural ambassador by showcasing Odissi and other Indian performing arts in other countries.“Cultural bonding will precede our business in Iran.We would like to play the Cultural Ambassador by showcasing Odissi and other Indian performing arts in Tehran first,” he said. “Cultural exchanges are a precursor of goodwill and mutual understanding, paving the way for any industrial joint venture,” he observed. The dance recital by noted artistes Meera Das and Datuk Ramli Ibrahim was the highpoint of the three-day festival, which enthralled the capacity crowd at the local Sahid Bhavan.Prior to that, renowned painter Dinanath Pathy was felicitated by Chand in the presence of artistes from India and abroad, as well as connoisseurs of various dance.